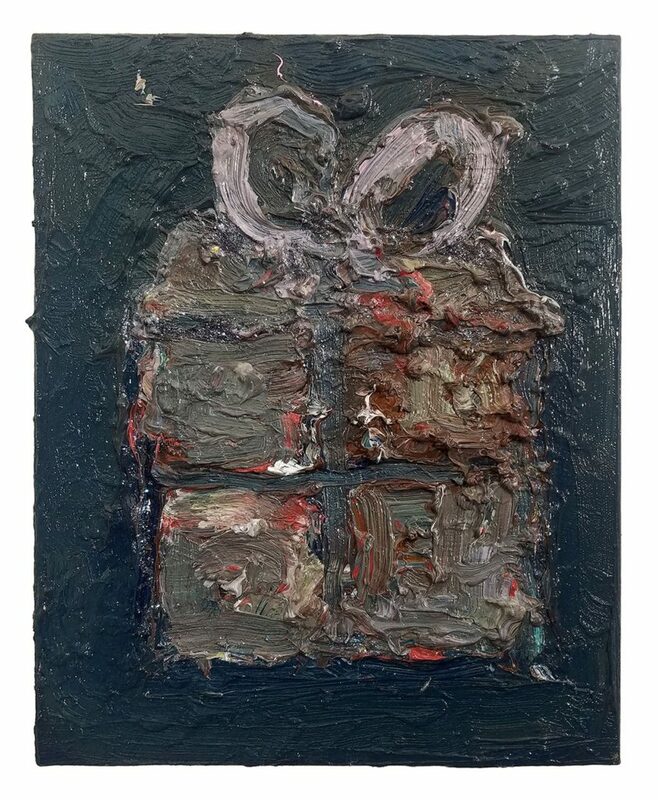 DAVID&SCHWEITZER Contemporary is please to present Rodney Dickson’s first one-person exhibition in New York since 2010. Born in 1956 in Northern Ireland, Dickson grew up during the troubled years of civil disorder that engulfed that country, and that experience would shape his work for decades to come. When first encountering Dickson’s work, one may be drawn to a facile categorization of the work as abstract painting, but its immediacy and physicality begs for a broader appraisal. Dickson’s work has never really been abstract (I don’t really believe anything is wholly abstract – we abstract from, abstraction is a verb not a noun) and one need simply observe Dickson’s tender and moving portraiture and landscape drawings to understand his roots lay in years of direct observation. His work has always been an urgent response to what has been going on in his life and to the world around him. Dickson’s work reflects his experience of growing up in Northern Ireland, his interest in the wars in Vietnam and Cambodia, and, in his most recent work, deals with a great personal tragedy. In all of these, his overwhelming physicality combined with a wide and intense color range (not usually seen in painting this thick) lend aspects to the work that are visceral, immediate and violent, and create a rhythm and pulse that speak to the deepest range of human emotions. In his most recent works I believe Dickson is consciously and unconsciously trying to come to terms with that deeply personal tragedy. The openness and rawness of these canvases (whole areas are left blank in opposition and conjunction with thick vibrant impasto) express a sense of loss, and the beautiful and ebullient color recalls gardens and nature’s renewal triumphing over that sense of loss. These works call to mind both the profoundly tragic beauty of the paintings of Mark Rothko and the remarkable light and joyfulness found in the work of Joan Mitchell. 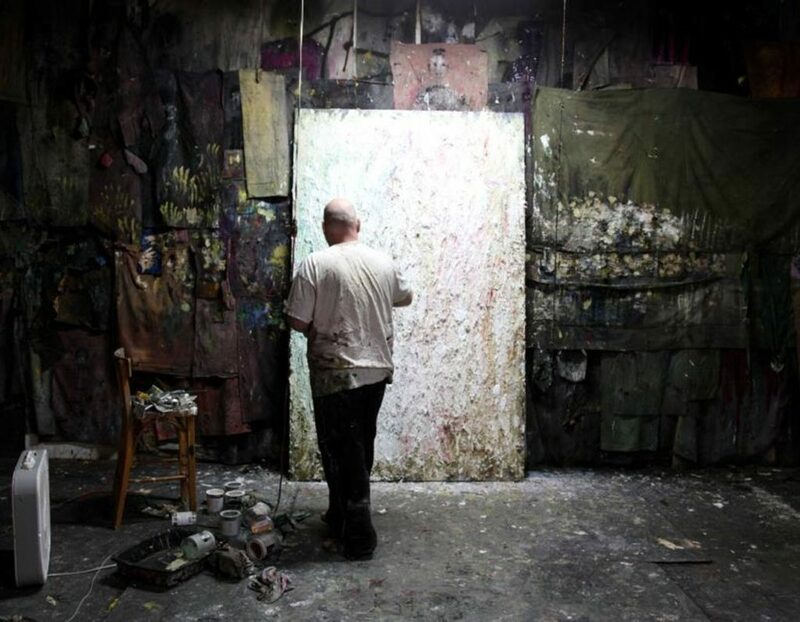 Dickson is the recipient of a Pollock Krasner Award and a Ford Foundation Artist Grant, and has exhibited his work in solo exhibitions at John Davis Gallery in Hudson (where he has an upcoming exhibition in the summer of 2018), New York, NUNU Fine Art in Taipei, Taiwan, and Gasser Grunert in New York City. 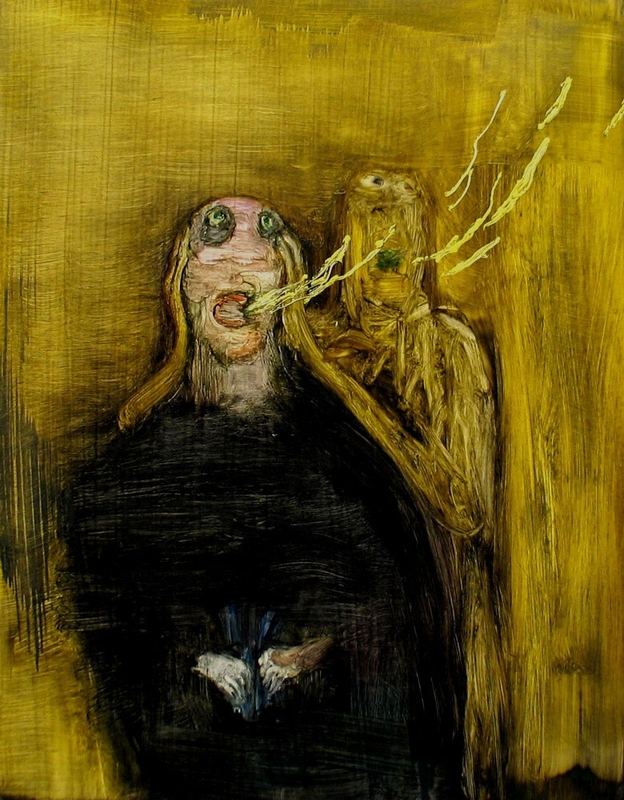 Dickson’s work is held in numerous public collections, including the Hanoi Art Center in Hanoi, Vietnam; Arts Council of Northern Ireland in Belfast, Ireland; Arts Council Of Great Britain in Manchester, England; Ulster Museum in Belfast, Northern Ireland; and the Palmer Museum of Art in Pennsylvania. Concurrent to the exhibition of Dickson’s paintings in our main space, our Project Room we will feature a selection of paintings by Farrell Brickhouse in advance of his one-person exhibition at DAVID&SCHWEITZER Contemporary. Brickhouse can articulate a painted figure in space through a single gesture and stroke, all the while creating a deeply personal narrative using archetypes and myths ranging from the pre-historical, to personal memories, to UFO related imagery. He has been an instructor of painting at The School of Visual Arts since 1980 and guest lecturer at many BFA and MFA programs across the country. Brickhouse is brilliant, sweet, and generous of spirit and deed, as are his paintings. I have often referred to him as the “Saint Francis of Staten Island,” as he feeds birds and squirrels peanut butter in the dead of winter in the snow. His beautiful and intimate work creates a place of shared humanity that touches the soul. As is the case with all true artists, there is no difference between who he is and what he paints. Katherine Bradford, Farrell Brickhouse, Peter Burns, Mary DeVincentis, Frankie Gardiner, Brenda Goodman, Kerry Law, Danny Licul, Grace Metzler, Denise Sfraga, John Smiddy, Jack Arthur Wood Jr. In our annex space (M. David Studio), across the hall from the main gallery we will also have an exhibition of works curated by Mary DeVincentis titled Aporia, a brick and mortar version of the online exhibit featured on www.curatingcontemporary.com last January. The exhibit will include work by such wonderful painters as Katherine Bradford, Farrell Brickhouse, Peter Burns, Mary DeVincentis, Frankie Gardiner, Brenda Goodman, Kerry Law, Danny Licul, Denise Sfraga, John Smiddy, Jack Arthur Wood Jr. and a few surprise pieces from Mary’s private collection. This exhibition will give Mary an opportunity to provide greater depth and insight into her vision as an artist as a lead-in to her one-person exhibition in April, 2018 at DSC. 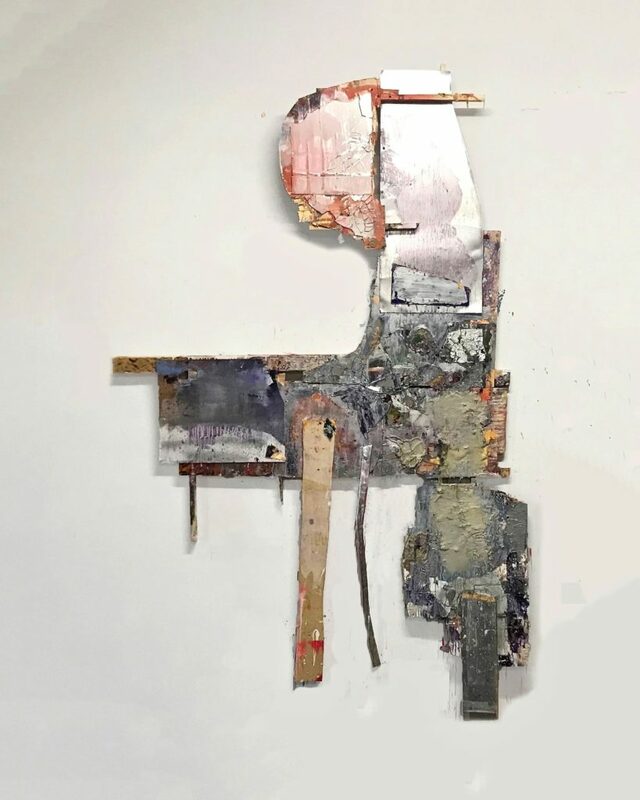 “What is most compelling about this work, beyond infusing a Dumpster aesthetic with iridescent, baroque beauty, is the way its formal intuition guides each convulsion: the architecture hidden beneath the whirlpool, magnifying the scope of meaning. The cracked, mottled surfaces are more than simply signifiers of discontent: they are evocations of moss and weeds; rivers and sewers; dirt and rust; blood and smoke. The wing motif, which returns as triangles or squares in paintings such as “Cygnus” or the self-identified “Wing,” may be an indicator of the futility denoted in Yeats’s “widening gyre,” but it could also be an intimation of hope among the ruins — it holds the work aloft.